6082 aluminum sheet belongs to the 6000 series Al-Mg-Si alloy. Its heat treatment can be strengthened, and has advantages of medium strength, good welding performance and corrosion resistance. 6082 aluminum sheet is mainly used in transportation and structural engineering industry. In recent years, with the development of domestic shipbuilding industry at home and abroad, aluminum alloy becomes an ideal material for manufacturing high speed ship parts. Henan haomei Aluminum Manufacturers is a well-known aluminum processing company in Henan Province. It has a large research team and complete production facilities. It has been trusted by the public for 20 years. And the manufacturers are in the Central Plains region where the consumption level is not high, together with the marketing mode of R&D, production, sales, transportation, and after-sales, the quality of the 6082 aluminum sheet is more reliable, and it is a real aluminum processing manufacturer in its field. 6082 aluminum sheet offers good machinability with excellent corrosion resistance. Available in bar, plate, sheet and tube, the alloy is used in structural applications and is preferred to 6061 aluminum sheet. 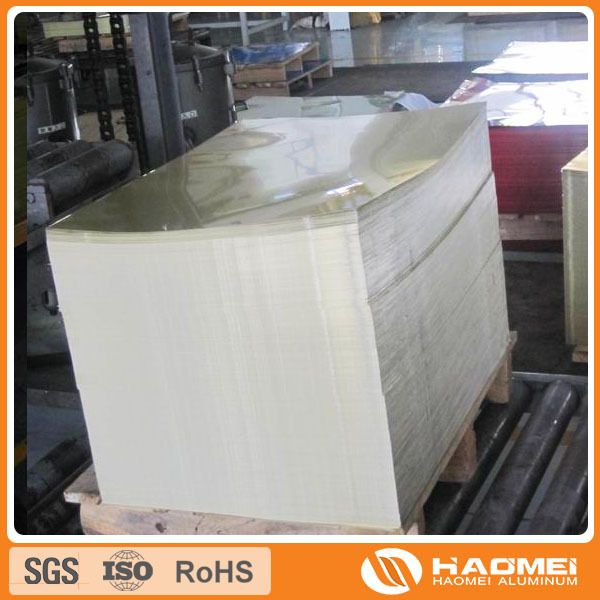 Besides, The 6082 aluminum sheet of haomei aluminum is generally produced by 1+1 hot tandem rolling production line. Maximum thickness of 6082 aluminum sheet can achieve 600mm, and the width of sheet up to 2.6 meters. The mainly states of 6082 aluminum sheet include 6082-T6 and 6082-t651.